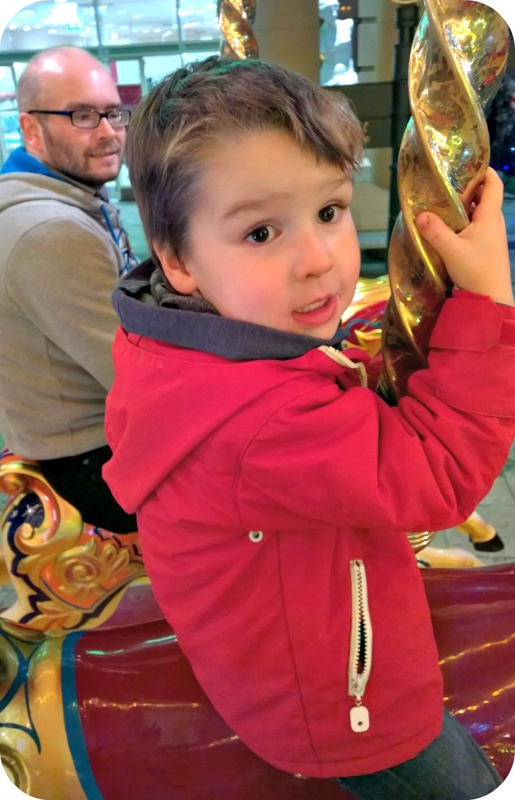 A few days ago we headed off to the intu Trafford Centre to see Father Christmas in a very special setting. 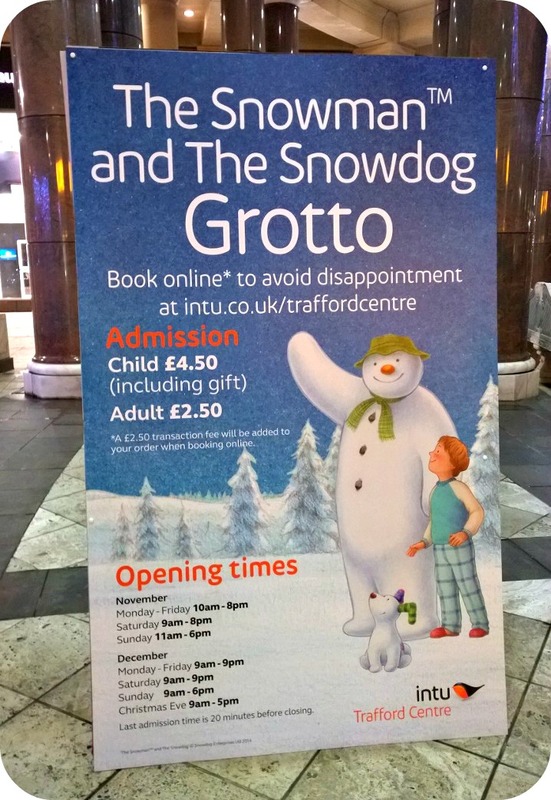 The grotto is a regular Christmas fixture at the Manchester shopping centre but this year it has a very special theme. We're huge fans of The Snowman and the Snowdog and the beautiful animation was a favourite last Christmas so we were delighted to see that the Snowman and Snowdog were helping Santa out in Barton Square this year. Barton Square is really festive this December and you can see the Snowman and Snowdog from the outside as you approach. It's a really striking display and got my two very excited as soon as they saw it. When you enter the marquee housing the grotto you're met by the staff who are all dressed in traditional Scandinavian clothing. You have to pre-book your slot to see Santa so I'd recommend arriving a few minutes before you are due. The staff looking after the queue were great though and were inviting the children to name the penguins decorating this area. From there you are shown into a lounge area and met by Billy's (the boy from The Snowman and the Snowdog) mum. I don't really want to give away too much about what happens here but the actress is absolutely lovely with the children and shares the story of The Snowman and the Snowdog beautifully. We sat through the whole experience with big smiles and Bud joined in lots when he was asked questions. From this room you are taken down a corridor with lots more snowmen to see and into a room with lots of old school desks. 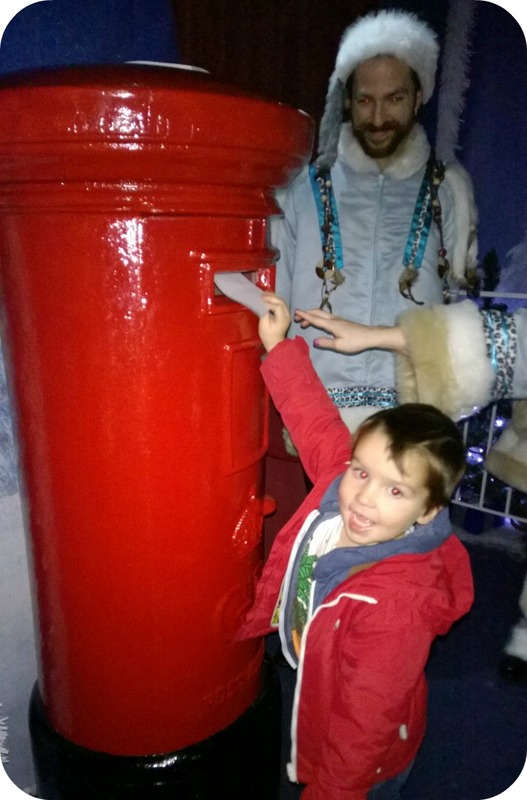 Here you can write a request for Father Christmas and post it into a big red post box. I'm not sure how many other children will ask for a Carnotaurus* like Bud! As we were there on a weeknight there were only four families in our slot so we didn't have to wait to see the big man at all. We were taken through a red curtain, down a corridor to our appointment with Father Christmas. This was really magical. Santa was utterly engaging and we never felt rushed. Bud was fascinated and loved talking to Father Christmas and it was so much more than the usual 'what would you like?' conversation. He even managed to give me a way to add a little magic on Christmas morning if Bud remembers what he was told! Even LM, who is usually very wary of Santa, got quite close before losing her confidence again. There's the usual photo opportunity before the children receive their gift - Bud got a mini skateboard and LM got a set of little board books - and that was our experience completed. We really liked the photo with Santa and we bought it. I found the prices to be reasonable and we bought a bundle containing photo, snow globe and keyring for £11 (the same price as one photo at another local grotto). 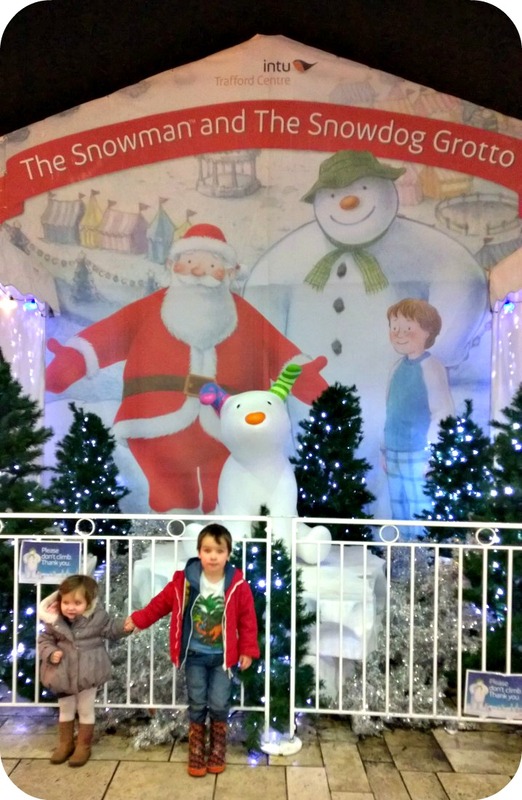 We all had a lovely time at the intu Trafford Centre Snowman and the Snowdog Grotto. We had an unhurried thirty or so minute experience and really enjoyed both the storytelling part and seeing the Big Man himself. I think it's a great idea to go on a weeknight if you can manage it as I understand it gets much busier at the weekend. Entry to the Snowman and Snowdog Grotto costs £4:50 (including gift) for children and £2:50 for adults. When I initially saw that adults had to pay too I raised an eyebrow but I feel that the experience is well worth the small charge. It is open from 9am to 9pm daily (9am-7pm on Sundays), last admission is 20 minutes before closing. You can book online to asssure your slot at www.bookfatherchristmas.co.uk/intutrafford (a £2:50 booking fee applies). It's well worth making time to check out the rest of the festivities in Barton Square too - especially the Victorian Carousel (£2 per person) and the tasty Christmas treats of the mini market. You can also ice skate at Selfridges too. 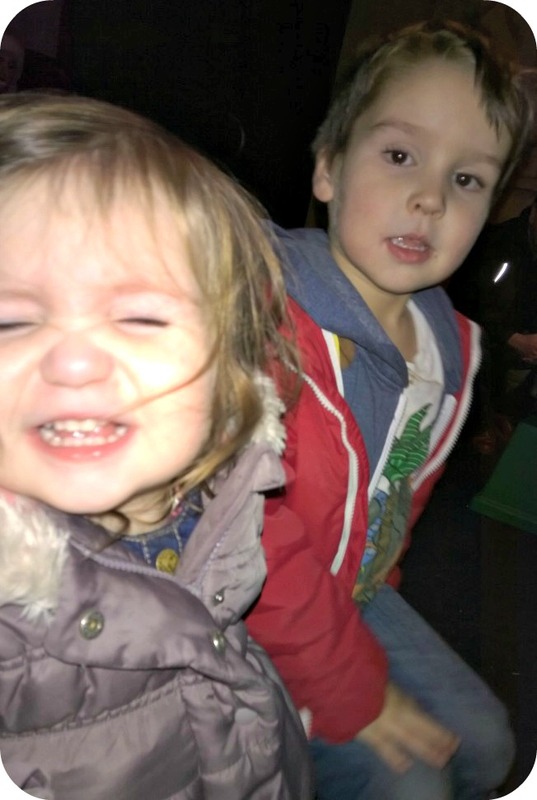 We're making magical #PayPalMoments this month and it's wonderful to have time to have fun with the children, especially on a school night trip out! Click on the link to find out how you can join in the fun. 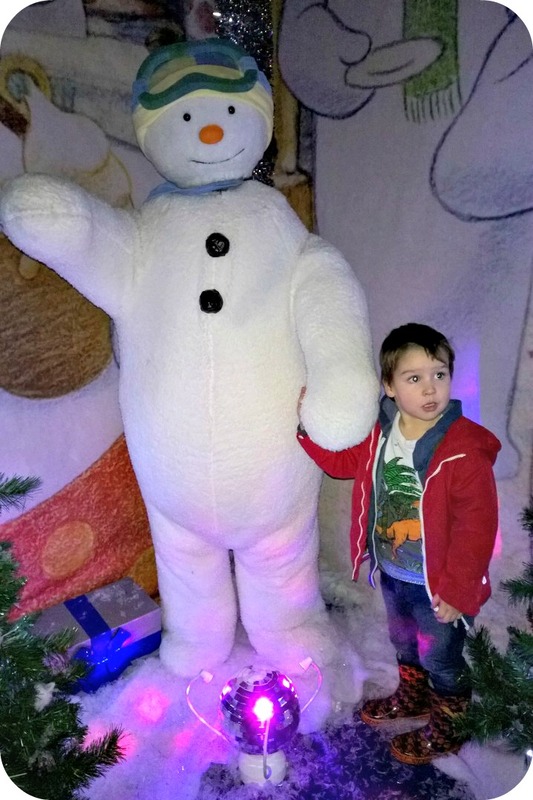 Disclosure: We were invited to visit the grotto as the guests of the intu Trafford Centre.